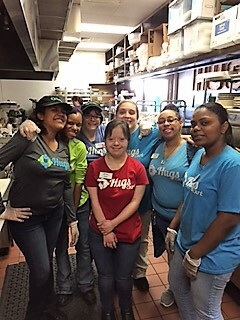 Hugs Cafe is a restaurant located in downtown McKinney, Texas that works to employ adults with special needs. There are few and far between options for employment for this population, and Ruth Thompson, the founder of Hugs Cafe, is doing everything she can to fix that problem. Although Ruth has been interviewed by Upworthy and People magazine, she agreed to meet with li'l ole me, and you can read that interview below. Note: I met with Ruth but also sent her a number of follow up questions via email. Starting with Question 6, the answers in this interview are in Ruth’s own writing style. 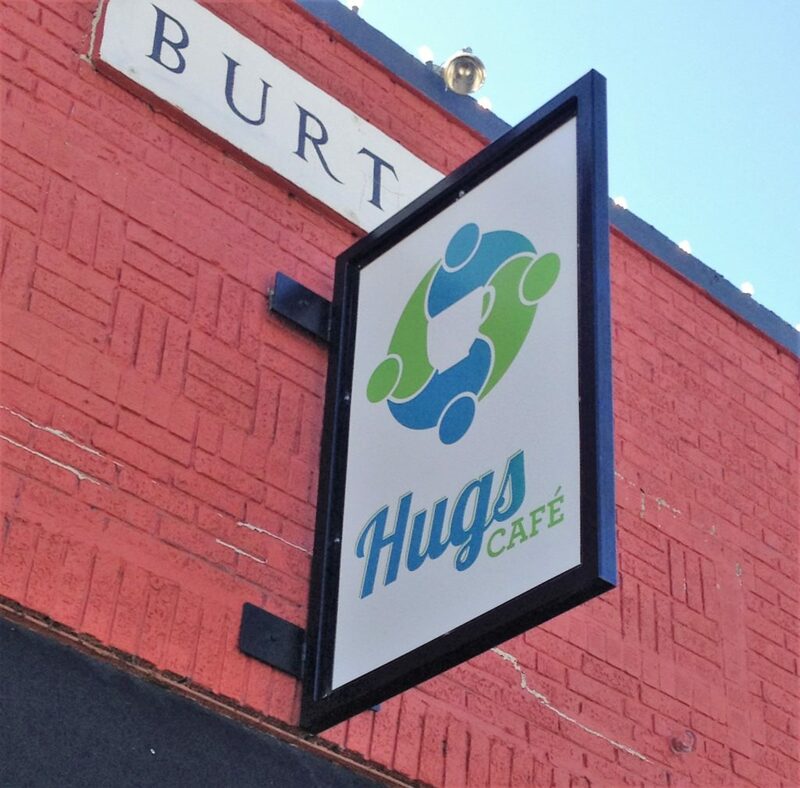 How Does Hugs Cafe Give Adults with Special Needs a "Purpose"? Question 1: You were quoted in an article in PEOPLE magazine saying, “We’re giving them a purpose.” Could you expand on this idea? How are the lives of your staff changed now that they work here? “Well, as you know (probably), as they [people with special needs] age out, they’re sitting at home with nothing to do. They start school in Kindergarten and they’re with people … until they’re age 21 or 22. They’re with someone. They have a community. And then: They’re sitting at home. Playing video games or watching TV. And that’s not a purpose. “And when they walk in here, they know what they’re supposed to do. They are happy. You see that smile on their face. They have a reason to get up in the morning. “We have one young man [working here] who, [his] mom says – when he’s not working – he sleeps until one o’clock. But on the days he’s working? Even though he doesn’t have to be here until 10 o’clock, he is up in the morning, dressed, his hat on. He is ready to go. Because he has a job! “And he said, ‘No! I’ve got a job!’ He has a purpose. What Career Aspirations Do Staff Members Have? Question 2: Can you talk to me about the career aspirations for the staff members? Before they came here, did they want to work in a restaurant? Or were they just looking for a job in general? Question 3: I’ve read from several sources that you had a dream about starting a restaurant ran by adults with special needs two nights in a row. Can you tell me more about those dreams? Were there any variations between the two dreams? How well does Hugs Café, now, stand up to the dreams you had before you started? “The dream was: All of these people working in a café, doing every job possible. We carved jobs, and that’s exactly what we have done – is we have carved jobs [“carved jobs” defined in Question 4]. […] In the dream it didn’t look like Hugs or like it is currently, but as far as the jobs were concerned, everything […] just fit in." “The dreams were identical dreams […] It was the same dream, two nights in a row. The exact. Same. Dream. What Does It Mean to Carve Jobs? Question 4: Tell me more about “carving the jobs.” What does that mean? “Carving the jobs – OK, prime example is a young lady named Kathy. Kathy’s 44. She has cerebral palsy. She took classes with us – cooking classes at Marketing Street. I knew that she had a difficult [time] – there, we had to have someone with her, hand-over-hand, but […] I knew Kathy wanted to work here. “Well, first of all, Kathy – well, let me back up: […] We are a fast-casual restaurant, where you put your order in up here [at the register] and then they bring it to you. […] In a regular restaurant like us, the people would do their own bread, get their own sides – fast, fast-paced. “Here? We carve jobs. Kathy does the bread – she calls herself the ‘Bread Queen’ – and she, first of all, said, ‘Nobody else has a stool. I’m not going to have a stool.’ She doesn’t miss a beat. The person on the line can call out the bread, and she gets it. She does not miss a beat." “She will jump up and get cookies if they call them out, and at the end of the day, she jumps in the ‘dish pit,’ doing dishes. Why Do You Work with People with Special Needs? Question 5: I saw that at one time you were the Executive Director of a company that helped families of people with special needs, and that later you taught a cooking class for adults with special needs at Market Street. What made you passionate about working with adults with special needs? Is there anyone in your family or anyone close to you with an intellectual or physical disability? “Why did I become passionate about them? I think that that was God-led. It took him a long time to show me what passion was about, and it was about this population. […]"
“When we moved down here, I wanted to continue the work with adults with special needs – and it was the adults because I saw that there was – there really was a lot for kids, but the adults just kind of got pushed to the side. […] You’re either in school or you age out, and you don’t see them anymore. How Do You Know Charmaine with My Possibilities? Question 6: You mentioned in our meeting that you knew Charmaine form My Possibilities. Could you tell me how you met? “Charmaine Solomon, founder of My Possibilities, met shortly after My Possibilities opened. Her staff heard about the cooking classes that we were having at Market Street. They contacted me and began bringing HIPsters to classes. “This is long before they had their current building and a kitchen. I met Charmaine at one of their first fundraisers which I attended. We had a meeting shortly after she hired Michael Thomas and after the dream of Hugs Cafe became a reality. “I have attended a few of their galas and we have met a few times just to compare notes." How Is Hugs Cafe's Food Handler Course Different? Question 7: You told me during our meeting that you had to re-write the food handling certification book and exam and write a specialized employee handbook and employee application for you staff members. Could you tell our readers how those are all different from traditional exams, handbooks and applications? “The Food Handlers Book covers all of the information that any on-line food handlers course does, except everything is stated in much simpler terms and lots of pictures. We talk about "germs" as opposed to "micro-organisms" and have funky pictures of germs. I am attaching a sample page from our book. To view a sample page of the Food Handlers Book, click here. Question 8: I had asked you about setting up a new location for Hugs Café, but instead you told me that you are actively working on starting Hugs Nursery. Could you tell our readers about the start-up process for Hugs Nursery and what roll employees will play there? “The plan for Hugs Nursery will be an opportunity to hire other adults with special needs; perhaps even someone in a wheelchair or someone who is not capable of working in a food service environment. “The land has been donated. We have a very experienced individual who has volunteered to run the operation. We now need to start raising funds to open, hopefully in the Spring of 2018. Will Hugs Nursery Grow Ingredients for Hugs Cafe? Question 9: Have you thought about growing your own vegetables in the Nursery and using them for the sandwiches/salads at Hugs Café? Question 10: Could you tell our readers about your gala coming up in January? Where will it be, and what is the goal of the gala? 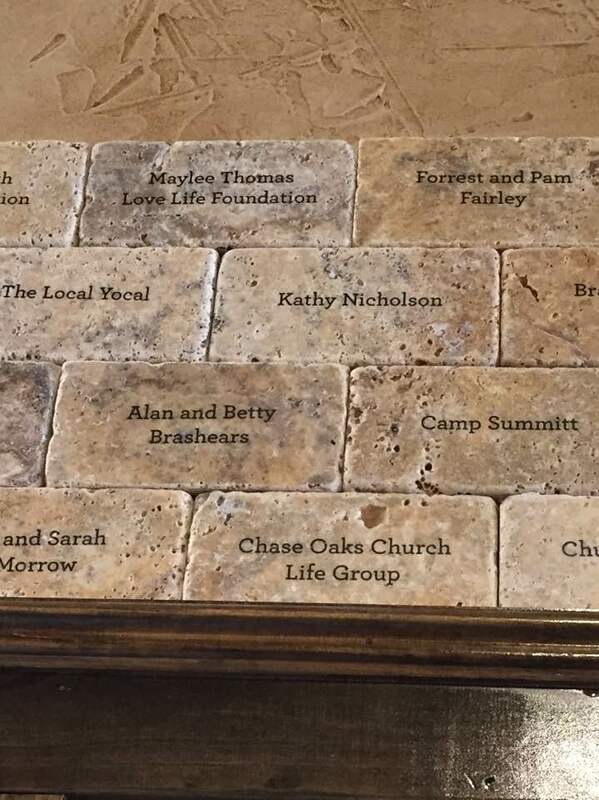 “The gala is scheduled for Saturday, January 27, 6:00 pm at Rock Creek Ranch in McKinney. “The Theme is ‘Boot Scoot'n for Hugs’. 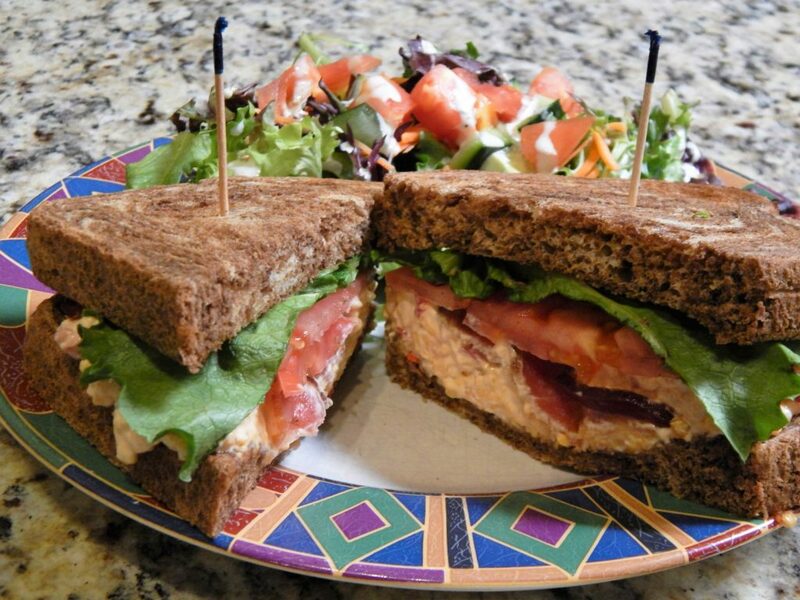 Support the employees at Hugs Cafe by enjoying lunch there anytime between 11:00 a.m. and 3:00 p.m. You can view a detailed online menu by clicking this link. If you have a child or ward who is interested in doing art and exploring their own individual identity, enroll them now in Achievement Center of Texas. We offer a day habilitation program for adults with special needs. It wouldn't be possible to do all that we do for adults with special needs if it weren't for donations from people like you who care. To donate to Hugs Cafe, click this link. To donate to Achievement Center of Texas, click the button below. What a wonderful place!. Can’t wait to try this next time we visit our son in Allen. He has been here and raves about it! We live in Oklahoma City. My other son is 36 and Mentally Challenged. He would love to work somewhere like this. He works at Tinker AFB in Food Service through a Dale Rogers contract n Airman’s Dining Hall. Thank you for all you do for our Special folks.